One of the cemeteries I visited while in Vermont this past September was Lakeside. 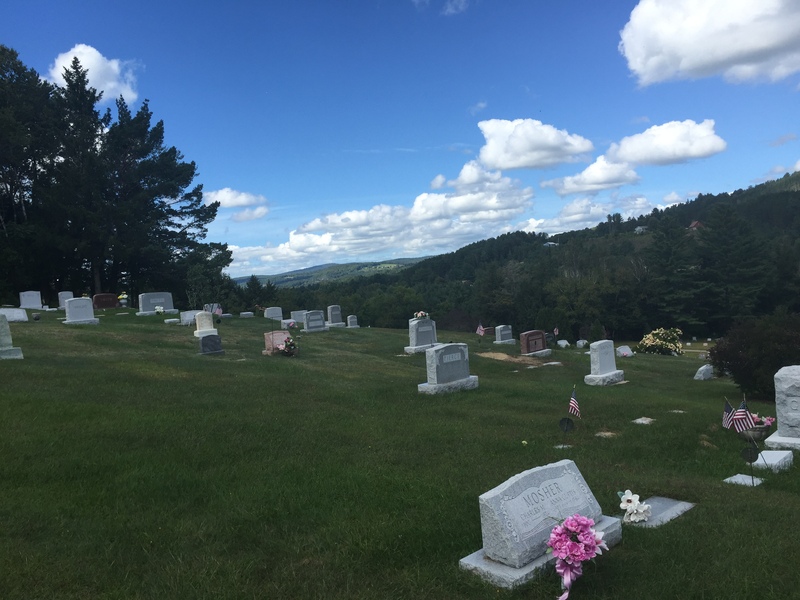 The cemetery is situated on the downward slope of a hill that looks out over a beautiful lake. It seemed many of the oldest burials were at the top closest to the road, with newer sections laid out below. While I didn’t end up adding too many new memorials—thanks to other volunteers who had already created many of them—I’m pleased to have increased the total photographed memorials from 10% to 30%. Not bad for a few hours of work! 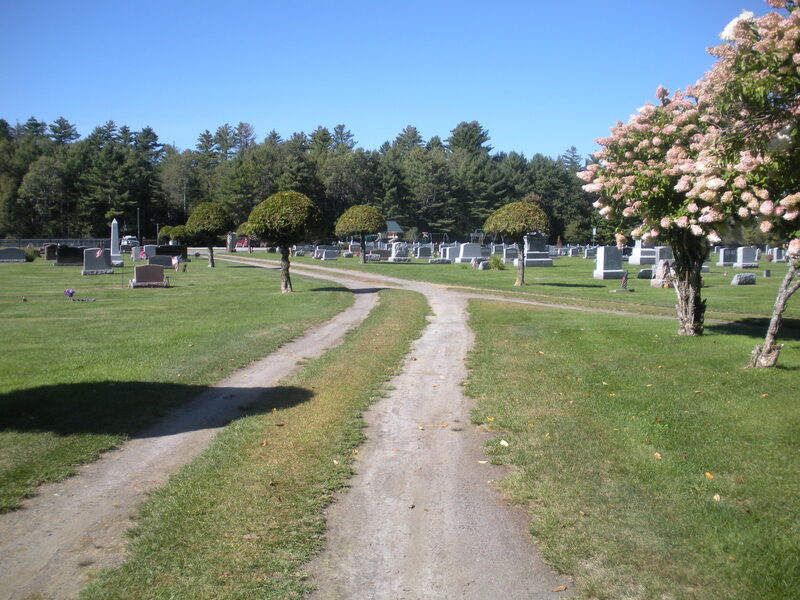 This week I visited Lyndon Center Cemetery in Lyndon, Vermont. 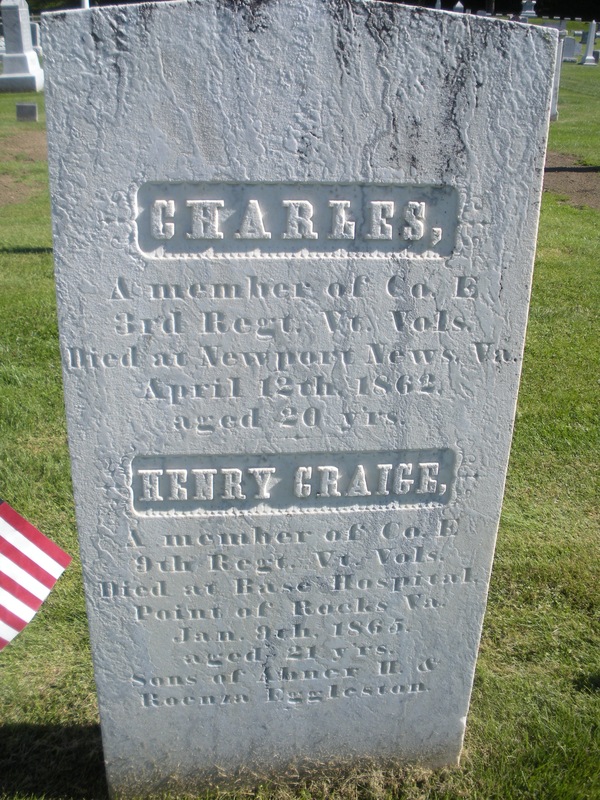 From findagrave.com, I knew there were at least several thousand burials here (likely more). I made a quick visit to get an idea of the scope and figure out how much I might be able to photograph on subsequent visits. I brought my dog with me as the cemetery rules allow leashed dogs. I struggled to take many pictures with an excited dog in tow, but I took a few snaps that gave the general lay of the land. 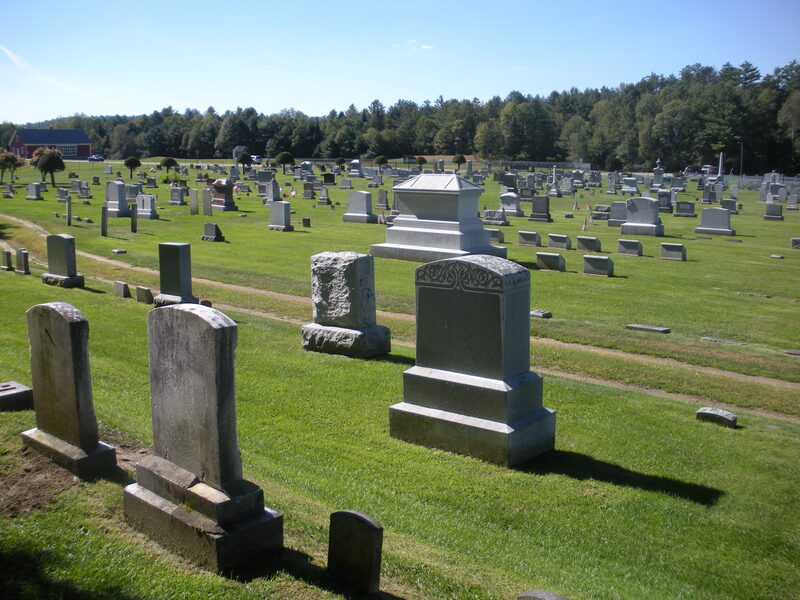 Lydon Center Cemetery begins at the bottom of a hill and gently slopes upward before reaching a small plateau. From there, the cemetery landscape rises at a sharper angle, with small terraced plots. I have no idea how they keep it mowed, but it’s a beautiful place. At the end of September I spent a week in Vermont. 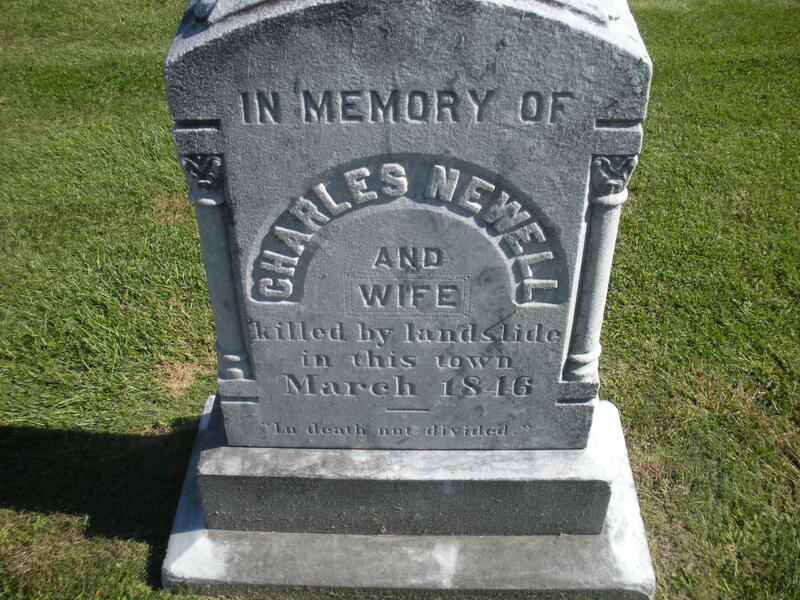 Before the trip, I took a look at local cemeteries on Findagrave.com and picked a few to visit in between days spent mountain biking and enjoying the local scenery. 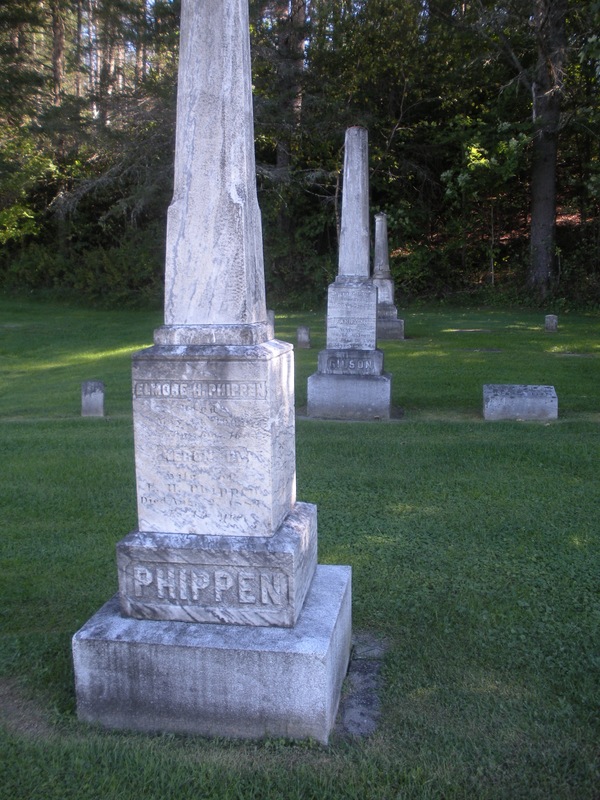 My first visit was to Woodmont Cemetery in East Burke, VT. I spent an hour or two there taking photos and getting a feel for the place and then returned again a few days later to finish as much as I could. When I started the cemetery was 54% photographed. After uploading all of my photos including new memorials the final tally was 74% photographed. 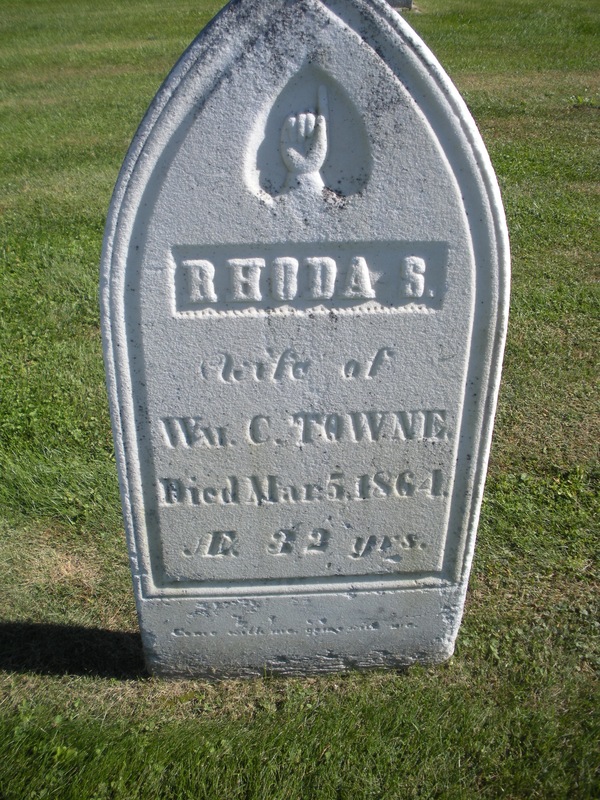 I spent one afternoon at Hillside Cemetery in West Burke, VT. This lovely cemetery was smaller than Woodmont and is uniquely situated at the top of a steep road on a high plateau. Although close to the road it felt completely isolated. The starting number was 54% photographed, ending number is currently 70% although I still have many photos to upload. 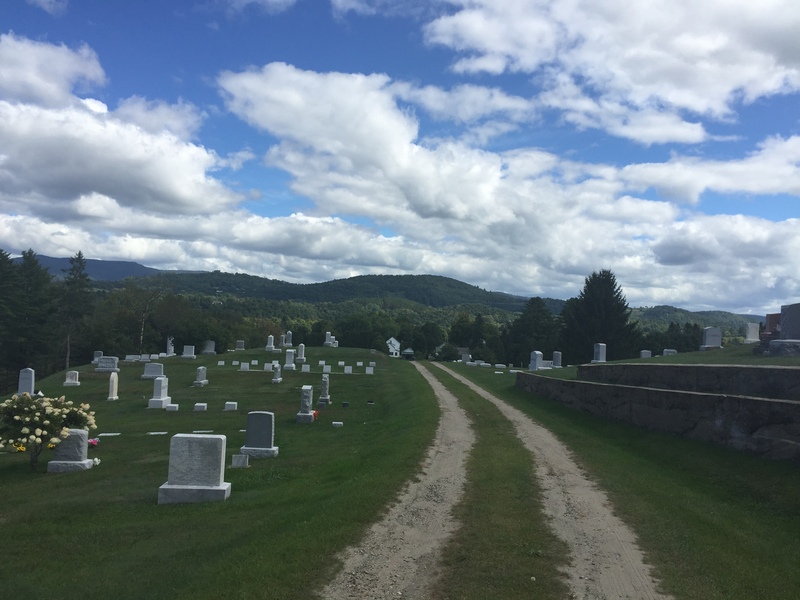 My final cemetery excursion was to Saint Elizabeth Cemetery in Lyndonville, VT. I rarely visit catholic cemeteries, but this one was small and I didn’t have much time so I figured I could make a decent dent. The starting number was 14% photographed and the ending number was 37% photographed.